EarningStation is a Get-Paid-To (GPT) website, where you can earn money through online activities. 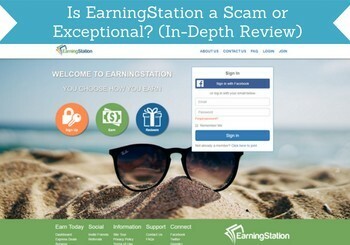 But is EarningStation a scam or an exceptional way to make some extra money online? This is something you always need to know before joining a GPT or paid survey site, as there, unfortunately, are many scams. Let me reveal right away that it is one of the legit GPT sites – this does however not mean it has the right options for you. This EarningStation review will go into all the details about what the platform offers, so you can see for yourself, before deciding whether it is for you or not. What is EarningStation and what does it offer? Earning Station has existed since 2011, so it has been around for a while. It is owned by the online marketing company iGain, which is specialized in connecting online advertisers and publishers. So it has a reputable and legit company behind it, and the platform is in itself also legit. However, that a site is legit does not necessarily mean it has the right offers for you, so let’s look at what EarningStation offers, so you can see for yourself. 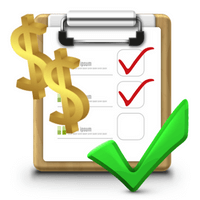 EarningStation gives you the opportunity to earn money by taking paid surveys. This is in my opinion, in general, a great way to make some extra cash online, and it is an extra bonus that you at the same time will have your opinion heard on important topics. EarningStation has a decent amount of paid surveys, but it is not one of the sites with the best opportunities. But if you like getting paid for sharing your opinion, it is worth signing up for to get access to the EarningStation surveys. Online offers is an option many GPT and survey sites have. It is offers from advertising partners. This means you can get paid to take different offers. It can, for example, be to sign up for subscriptions, take free trials, download apps, etc. In my opinion, it is an underused option. Some of these offers can give really good rewards. But you have to read the terms and conditions carefully. Some of them will not be worth it, as you will at the same time agree to receive a lot of further promotions. But if you read the conditions and choose the offers carefully, it can be a great way to boost your earnings. EarningStreak is a way to earn extra rewards on Earning Station and get a bonus if you are active every day. You will get this bonus once you have earned a minimum of $0.25 every day for 10 days. If you do this, you will get $1 bonus + 1 spin at the EarningStation spin wheel, where you can win some great prizes. 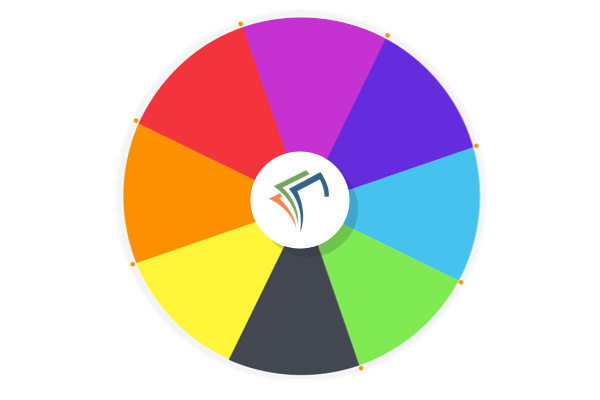 You will get the chance to win great prizes on the spin wheel, if you have a 10 day earning streak. For every 10 days you keep you EarningStreak going, the bonus you will get increases with $0.50 until it reaches a maximum of $3.5. But if you keep your streak going this means that you every 10 days will get a bonus of $3.5 + a chance to win on the spin wheel. Just be aware that if you miss a day, the streak will reset, and you will have to start over. This is a nice little extra way to earn rewards if you are actively using EarningStation. But you also have to use the site quite a lot to get the bonus, so it takes some effort. Once you have signed up for EarningStation, you can start receiving what is called “Ernie’s mail”. This is an email, where you will get paid to open and click to confirm you have seen it. You will earn between $0.01-$0.50 to do this. You will usually receive a weekly email – sometimes more. The reward for this is usually pretty low, and you will not get a lot of emails like this, so it is not a way to earn a lot of extra money. But it also does not take long to do, so it might still be worth to check out the emails if you become a member. Be aware that the email offer expires after 72 hours, so if you click the email more than 72 hours after you have received it, you will not get the reward. There is a daily video on EarningStation. By watching this, you will earn $0.02. After this, you can keep watching more videos, and you will then earn $0.02 per 10 videos you watch. Watching these videos gives a pretty low reward, as you can see. So, in my opinion, this is not something you should do to increase your earnings, as it will not make much of a difference. Only watch the videos, if you want to watch them anyways. If you do it to earn, you will waste your time, and then the other ways of earning on EarningStation will be a better use of your time. EarningStation regularly gives out codes, where you can get a little extra money for free. You can find these codes on EarningStation’s social media accounts. The codes are mostly posted once a week. Once you see a code, you need to go to your account to redeem it. You will regularly be able to find EarningStation promo codes with free money. Be aware that the codes can expire, so better do it as soon as possible, when you see a code. These codes will of course not give you a huge amount of money, but it can still be nice with a little extra free money. You will not know exactly how much you will get until you redeem the code, and the value can differ from code to code. EarningStation has a cooperation with The Game Show Network. If you spend money on GNS through EarningStation, you will get 20% cash back. So if you spend $10, you will get $2 back into your EarningStation account. This will not happen immediately but after around 30 days. This is not as such a way to make money, but more a way to get some cash back, if you are already using The Game Show Network. If not, it does not make much sense to use this option, as it will then just cost you money. This option is similar to the one above. If you buy anything on Groupon through EarningStation, you will get cash back. You will get 5.5% cash back and get access to extra deals. So if you are using Groupon, this can be away to save some money. You can earn some extra money by inviting your friends to join EarningStation. Whenever a friend joins through your invitation, you will get a 10% commission of everything they earn on the platform. This will not affect their earnings but will be paid by EarningStation to thank you for inviting someone else to the platform. So if you have friends that are interested in joining, this can be a way to earn a little extra. When you do any activities on EarningStation you earn cash in your EarningStation account. This cash can then be redeemed for a number of rewards according to your wishes. There are 2 overall categories of rewards you can get – gift cards and digital rewards. The gift cards can be redeemed when you have earned $10, and you can, for example, get a gift card for Macy’s, Sears, Starbucks, Walmart, Target, Applebee’s, Hallmark, and more. The digital rewards are cash through PayPal, virtual Amazon gift cards, or Virtual Visa, and these can be redeemed, when you have reached $25. So the payout threshold for these rewards is a little high. Personally, I prefer sites that have PayPal as a payout option, so I think it is great EarningStation has this option, but just a shame you have to wait until you have earned $25 to use this option. There are however also many other great ways to get paid, as you can see. Be aware that to use the digital rewards options, you have to apply. You do this from your rewards page. After you have applied, you need to confirm your identity. You do this in your account settings. Here you click the “Two-factor Authentication” button. You need to verify your account to use the digital rewards. You will then be taken through the verification process step-by-step. It will not take long and is not difficult to do, so if you want to use the digital rewards, just remember that to get this option you need to apply and then verify your account. EarningStation has several ways to earn and has a decent amount of opportunities. Some of the earning methods will not give huge rewards, but if you choose the best options and use your time wisely, you can earn some extra money on the site. Exactly how much you can make is very difficult to say, as it depends a lot in the exact earning methods you use and the time you spend on it, and it is in my opinion not one of the top survey and GPT sites but it still has enough opportunities to be worth joining. Overall, it is also important to know that you will NOT be able to make a living from it, and GPT sites are in general not a way to make that kind of money. It is a great option to earn some extra money on the side, but if you expect it to make you rich, you will be disappointed. You can easily use EarningStation on your mobile device, and this can be a great way to earn a little extra whenever you have a few minutes extra wherever you are. There is no app you can use, but the platform is still easy to use on a mobile device, which is a great option to have. EarningStation is a survey site that is only available in the USA. You have to be a resident of the US and be at least 18 years old to be able to join. Other than that, there are no requirements to join. If you do not live in the US, you can instead check out the best survey sites in your country, since you are not able to join EarningStation. Even if you live in the US, it might be worth checking out the list through the link above, as there are sites with better opportunities. If you should need any support, you can contact EarningStation. They have a pretty good support and do not take long to get back to you. This is always important, and it tells a lot about a company, if they have good support or not. You can also contact the support through EarningStation’s Facebook page. The support there is very responsive, and from what I have seen, they always get back to people that ask questions there, so this can also be a way to get a hold of the support if you should ever need it. EarningStation is a legit Get-Paid-To site. That does, however, not mean it will necessarily be the right option for you. So let’s finish this review by summing up the pros and cons, so you can get an overview, and see if it is a site for you or not. Overall, EarningStation is a GPT site worth considering, if you live in the USA. It is however unfortunately only available here. And even if you live in the US, there are sites with better opportunities. But EarningStation has great payout methods and a decent amount of opportunities. A big disadvantage is, however, it has a little high payout threshold for the digital rewards. I hope this review has given you a good idea about what to expect if you join EarningStation, and that you now know if it is a site for you or not. It is very easy to join EarningStation. You just click the button below that will take you to the sign-up page. It will take 1 minute to sign up and then you can start earning. If you have any comments, questions, or have any experiences with EarningStation yourself you would like to share, I would love to hear from you in a comment below. EarningStation is a legit GPT site and has a decent amount of earning opportunities. It is only available in the US, but if you live here, it can be a site worth joining, even though it is in my opinion not one of the top sites. I have always been told to run the other way when I see offers about making money from online surveys but it sounds like this one is for real. So, with the online offers you are paid when you accept the offer – is that correct? It seems like EarningStation offers simple ways to make money online but it also sounds like it’s pretty work intensive. However, you also say this is a good way to make “Extra” money and not a full-time income. It’s free to join but are there upsells? Thank you for letting us know about this opportunity! Sometimes people warn against survey sites because they do not understand how to use them properly, do not know the legit sites, or often also because they are trying to sell you something else themselves. Also, people that start online surveys to become rich will become disappointed and then say it is not worth it. But it can definitely be worth it, if you join the right sites with the right expectations. Yes, you will get paid for the offers once you have accepted them. Sometimes there is a delay depending on the offer, and you will get paid after a certain amount of days. That is why it is important to read the conditions, if you take any of the offers, so you know what to expect. EarningStation is 100% free and there are no upsells. There might be some offers you can take that you have to pay for, and you will then get a bonus. But taking surveys and using the other earning methods is 100% free to use. What is the ‘tap out’ rate like on their surveys? By tap out, I mean the frequency they kick you out of the survey for demographics…after they have already harvested about 10 answers from you! I really hate sites that do this – I was wondering if this site was a little different? On more or less all survey sites you will sometimes not qualify. But I agree that it is a big problem on some sites where you do not find out until you have already answered questions for several minutes. On EarningStation you will also sometimes not qualify – the exact rate for this depends on your demographic profile, so it is difficult to say anything. But you will usually know fast whether you qualify or not, so it is not something you will waste a lot of time on. And in general it gives access to a good amount of surveys.